XtraordinaryXtraordinary bath vanities combine the casual feel of a cabin, to the functionality demanded in an urban environment. Completes with tailored wick baskets. Horizon CollectionOur exclusive 84″ Horizon Double Bathroom Vanity Sink Console is the first line of furniture bath vanity that can be combined with wall-mount faucets (US Utility Patent). Shutter CollectionAn ancient Greece inspired design finally finds its place in the modern era with this 70″ Oak Shutter Double Bathroom Vanity Set . Angled louvers, are used extensively to create a casual but yet funtional feel on this double vanity sink cabinet. 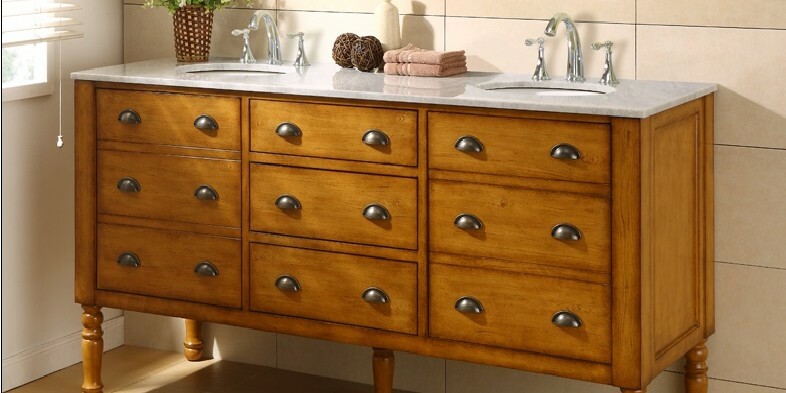 Harvest CollectionHarvest Double Bathroom Vanity Set perfectly combines casual feel with optimal concealed storage space for a truly exceptional bathroom vanity design. Hand painted to provide the aged look, contrasted with classic prized white carrera marble. 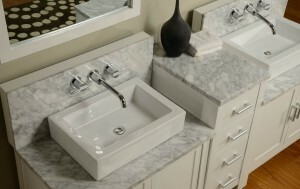 Hutton CollectionHutton line vanity is the staple design of furniture style bath vanity. And we complete this with a twist, adding the design with the wall mount faucet ready modual (US Utility Patent). 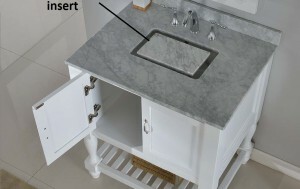 Cost of a furniture style vanity, with appearance of a designer level bathroom. Mission Turnleg CollectionMission turnleg line provides the most casual feel for a double vanity with an elegant touch of classic turnleg design. Mission Spa Collection This long running Mission style vanity with straight lines was given a new look with infinity undermount convertible sinks (US Utility Patent), and planked solid wood shelve. Each door is flanked with elegant door trims to position this line as the ultimate transitional bath vanity cabinet. Copyright © 2013 Direct Vanity Sink. All rights reserved.